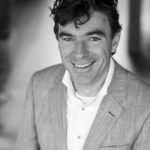 Jacco Dros helps higher management in to improve their organization. After several management positions in media, Jacco specializes in bringing new perspective to companies, (educational) institutions, governments and NGOs. 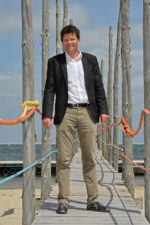 Jacco is enthusiastic, creative and sometimes a bit unconventional. But he is mainly himself. Strategic Doing helps Jacco to bring focus and speed to the processes he supports. Reinder (pronounced as “Rynder”) stands for a world in which all people live and work happily and inspired. In his view work is a result of a person’s passion and self-expression. In his projects he also introduces music and play to generate workplaces where people become playful and express what they stand for. His motto is “Enjoy yourself, inspire others”. With 25 years of experience in the leisure sector, Wouter de Waal is an experienced advisor to government, industry and other parties active in tourism, recreation, nature, sports and education. He has a passion for innovation, cooperation and action. No long stories but on the bucket! In his view, Strategic Doing is perfect for the leisure sector, where most of the changes are realized with many parties that quickly form a ‘complex network’.